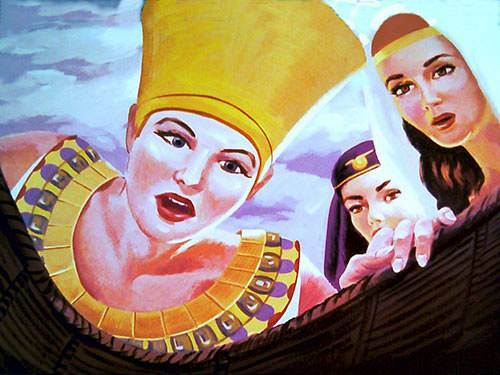 Long, long ago, in a tiny little house by the great River Nile, there lived a mother, a father, a sister who was twelve, whose name was Miriam, and a little brother who was three, whose name was Aaron. Then a new baby came to live in that little home, a beautiful baby boy. They would all have been very happy about the baby except for one thing: in that land there was a cruel king. 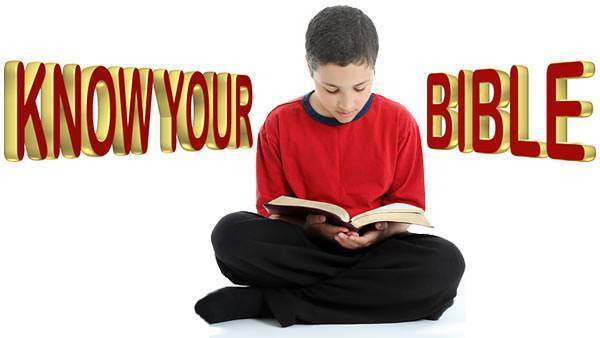 This king had said that none of the boy babies of the Hebrew people could be allowed to live. 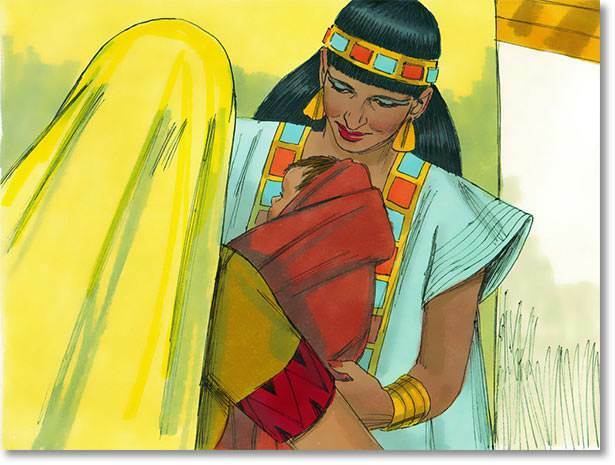 Miriam’s mother and father were Hebrews, and they all wondered how they could hide him. They managed until he was three months old. Then God told the mother a splendid plan. 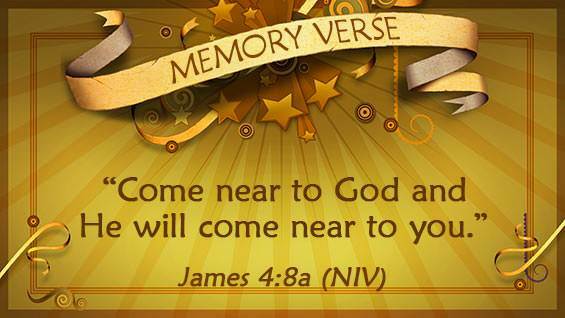 The mother told Miriam to gather an armful of the tall rushes that grew by the riverside. Then she wove these into a basket-cradle. When the cradle was finished, the mother smeared it inside and out with tar to keep out the water. When it was dry she put a little blanket inside. 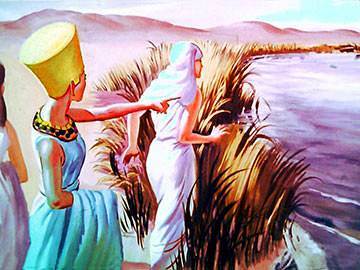 Then Miriam and her mother went down to the river. 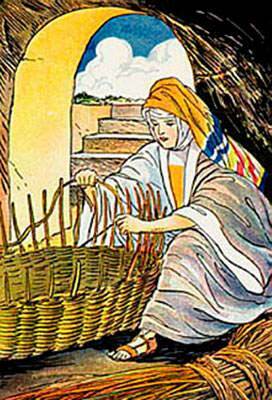 Miriam carried the baby and the mother the cradle-boat. Then they put the baby in the cradle-boat, and found a safe place among the rushes where they put the baby in its strange new bed. Miriam stayed close by to watch. Soon the princess came down to the river to bathe. 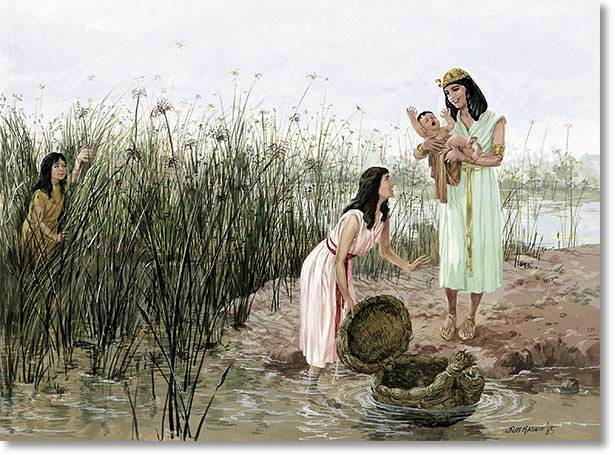 She saw something in the water, and sent one of her servant girls to see what it was. 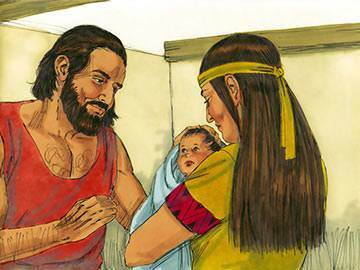 The lady lifted the baby out of his cradle, and he began to cry. Then Miriam ran and called her mother. When the baby’s mother came, the princess said: “Take this child and nurse it for me, and I will pay you.” And the woman took the child and nursed it.